As you all know I’m a beauty product whore, the more the merrier I say. Men never understand our beauty rituals but if you educate them on this subject, he will be part of the beauty phase as long as its labeled “For Men Products”. This is so true, my ex boyfriend would watch me with my lotions and potions to a cleaner face, younger skin, and make up application. He would ask why do I go through all this, does it really help your skin. Well, the answer is YES, to all questions, I have never washed my face with a bar of soap nor have I not gone a day without applying moisturizer to my face under my make up. The basics to all this is to always begin with a clean face (when you prepare and taste food have a clean pallet or paint a portrait use a clean sketch) here are some tips for cleansing your pretty face. Most of us assume that cleansing is a task so basic it can be accomplished even when you’re completely exhausted or slightly tipsy — which, of course, it can. But with all the latest options (lotions, milks, foaming mousses, oils, wipes, motorized brushes) and antiaging ingredients to consider, there’s a lot more to it than soap and water, says Dr. Doris Day, NYC dermatologist and author of Forget the Facelift. “With so many sophisticated, gentle cleansers that won’t strip the skin, using the right one allows moisturizing and antiaging products to absorb more effectively.” Clearly, an old-school splash and scrub won’t do. Here, the new rules for getting your freshest face. Myth 1: WASH AND GO It’s more of a two-step process. “Remove your makeup before you wash your face,” says Montclair, New Jersey, derm Dr. Jeanine Downie. “Many cleansers can’t take off concealer or foundation completely, especially around the eyes and nose.” Use an oil-based cream, an emollient wipe, or a cleansing oil to dissolve stubborn sunscreen and makeup. Follow with lukewarm water and a dime-size amount of cleanser (look for the ingredients cocamidopropyl betaine or caprylic triglyceride, which are sulfate-free surfactants) on your fingers or a clean, damp washcloth. Rinse and dry with a soft paper towel if you’re acne-prone. Myth 2: WASH TWICE A DAY While the jury is still out on how often to cleanse (every a.m. and p.m. or just once at night), all derms agree that over-washing can lead to irritation and a lack of moisture. The rule is to use common sense: Always wash your face after a workout to prevent breakouts, and wash excessively oily skin morning and night. For very dry or sensitive skin, stick to cleansing once daily in the evening. Myth 4: BUY CLEANSER ACCORDING TO SKIN TYPE No matter what kind of skin you have, make sure the ingredients list doesn’t contain fragrance, which can be irritating; parabens (potentially toxic preservatives); or harsh soap (it’s drying). 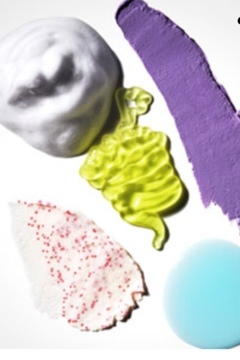 “If a cleanser fits that bill, the formula itself [cream, lotion, foaming, etc.] is more a matter of personal preference,” says NYC dermatologist Dr. Brad Katchen. Of course, people with dry skin may prefer formulas with added moisturizers, like glycerin or shea butter. And “if you have oily skin, you might want a foaming wash that leaves skin feeling superclean,” says Day. Myth 5: SCRUB TO EXFOLIATE AND SMOOTHA salicylic- or glycolic-acid cleanser is gentler and more effective than grainy scrubs, and both offer antiaging benefits and help prevent breakouts. Alternate with your regular wash (start with three times a week), and adjust depending on how your skin is looking and feeling. Myth 6: USE TONER “An alcohol-based toner strips off natural oils,” explains Day. 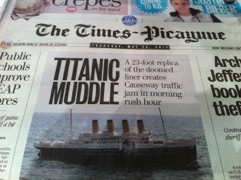 Not good. “Gentle toners calm the skin and balance pH levels, but with the right cleanser, you don’t really need this step.” Love the feeling anyway? Choose gentle, alcohol-free versions. Myth 7: BRUSH YOUR SKIN TO A GLOW EVERY DAY “A brush removes oil, dirt, and dead skin better than your hands can, and it’s less aggressive than most exfoliating cleansers or scrubs,” says Day. “But it’s not something you have to use every night, especially if you’re also applying ingredients like retinoids or acids. Too much exfoliation can cause inflammation.” Basically: Use, but use sparingly. (Right now we’re obses-sed with Clarisonic’s new acne-cleansing brush head, below.) To keep your brush bacteria-free, rinse and air-dry after use. Oh, and hey, clean freak, like you do with your Brita, replace the brush head every three months. Myth 8: SPEND A FORTUNE Save your pricier ingredients, like retinol or antioxidants, for leave-on products instead of washing them down the drain. “They’re most effective when they stay concentrated on the skin,” says Katchen. This woman is my idol, she is everything I want! I haven’t felt this emotionally raw and exposed since Penthouse published those photos of me and Vanessa Williams. I have to say I’m a total beauty product whore. I will sample, buy, and utilize any or all products that I can get my hands on. As I was growing up my mother wanted me to learn the correct way of applying make-up and skincare regime. She is sight impaired, so where shall I learn the beauty bible of all schooling, at the Estée Lauder counter in Dillards Department Store. Since this was the company my mother would purchase her make-up ad skincare products, she wanted me to learn from the ladies at the counter. It was fun learning the tricks of the trade, told to moisturize, moisturize, moisturize, and that less is more. But once I started reading my Mademoiselle, Glamour, and Cosmopolitan magazines I wanted to buy every product that was mentioned. Once I got older I proceeded to buy the bigger name beauty products and still used the basic tools from the drugstore. It wasn’t until Sephora opened in Miami where I was living that I became addicted to all the was beautifully merchandised on display that I could have the best of everything. Look, if you’re clueless as to what you need to use as a daily regime or where to buy (really no need to buy $60 makeup remover when you can easily get this at the drugstore) and what are your skins needs and wants. Are you normal, combination, oily, and sensitive skin. Do you like to experiment with your make-up. If so read this article on how to find out what’s best for your skincare needs. Like traveling to foreign lands, shopping for skin care can be disorienting. The landscape is strange. The people are pushy. And you don’t speak the language (hyaluronawha?). Here’s how to shop the aisles like a native. Rooting out the latest anti-aging serums takes concentration, so don’t try it on Saks Double Points days. Department store skin-care floors are most peaceful in the early morning and mid-afternoon (2 p.m. to 4 p.m.) on Mondays and Tuesdays, when most of the world is at work. If you can’t shop then, hit the stores in the evening, early in the week—Monday, Tuesday, and Wednesday are quietest—or as soon as the doors open on weekends, suggests Barbara Zinn Moore, general merchandise manager of cosmetics and fragrances at Lord & Taylor. Even a top-notch scientist like Jeannette Graf, an assistant clinical professor of dermatology at Mount Sinai Medical Center in New York City, appreciates the insight salespeople at department stores have offered over the years. “They can be quite helpful in navigating the multitude of skin-care products at the counter,” she says. Still, be discerning. “Some salespeople stretch the truth,” says Elizabeth Tanzi, codirector of the Washington Institute of Dermatologic Laser Surgery in Washington, D.C. (That goes for facialists, too.) So a little skepticism probably won’t hurt. 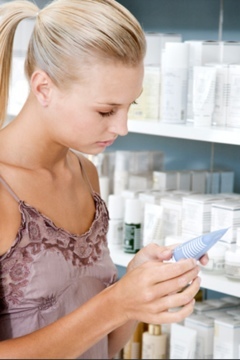 And drugstores including Duane Reade, Walgreens, and CVS/Pharmacy now have salespeople trained in skin care and armed with testing devices—such as hydrometers, which measure skin’s moisture levels—so “they can give personalized advice based on specific needs,” says Boston dermatologist Ranella Hirsch, who consults for Vichy and helped test some of the diagnostic tools for CVS/Pharmacy’s Healthy Skincare Centers, where Vichy, Lierac, and La Roche-Posay are sold. For those with eczema or skin allergies, Audrey Kunin, a clinical instructor of dermatology at the University of Kansas School of Medicine, recommends avoiding dyes, fragrances, and essential oils. Botanical ingredients can also cause allergic reactions, says Mary Lupo, a clinical professor of dermatology at Tulane University in New Orleans. Exfoliating products—grainy scrubs, glycolic acid cleansers, retinol creams—can also inflame the skin. 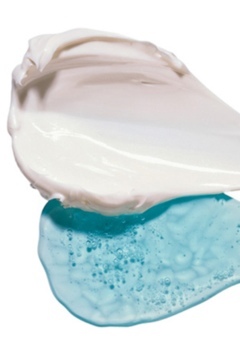 They’re not necessarily off-limits, but it’s safest to ease in with the mildest ones, like a creamy scrub with soft, synthetic beads; a low-strength, buffered glycolic wash (meaning its pH is higher and less likely to cause burning and irritation); or a less intense form or concentration of a retinoid that’s geared toward sensitive skin. If you’re going to buy an expensive skin-care product, make it sunscreen or retinol. Many dermatologists prefer sunscreens with physical filters, like zinc oxide and titanium dioxide, because they aren’t irritating and don’t break down quickly. But here’s the catch: They have to be formulated well to blend in easily and invisibly on the skin, and feel so light and silky that you’ll actually use the product. 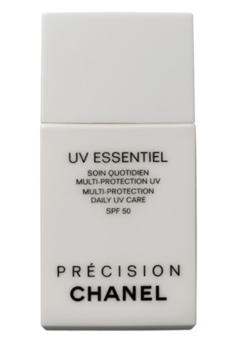 (La Roche-Posay Anthelios 50 Mineral Ultra Light Sunscreen Fluid and Chanel Précision UV Essentiel Multi-Protection Daily UV Care SPF 50 meet the criteria.) In its purest, most effective form, retinol (which improves fine lines and dark spots, stimulates collagen production, clears minor blemishes, and even reduces pore size) is an expensive ingredient, one that has to be carefully formulated to maintain stability and minimize irritation. These factors contribute to its cost. If you need to skimp on something, make it cleanser, the product that gets the least amount of face time. Every department store has a different policy, but according to Lord & Taylor’s Zinn Moore, if you keep the original box and receipt, you shouldn’t have a problem returning skin-care products to a department store within 30 or 90 days (depending on the specific store). Barneys New York and Nordstrom take a similar approach, determining the fate of returns on a case-by-case basis. 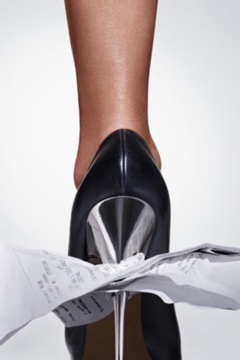 For drugstores, CVS/Pharmacy takes back any beauty product, opened or not, with a receipt. At other stores, like Walgreens, managers usually decide whether or not to give a refund for cosmetics—and, if granted, it often comes in the form of store credit. Always inquire about returns before buying. 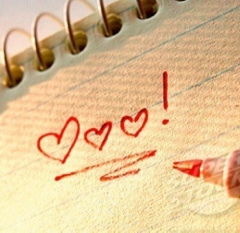 @Notebook: If your relationship has more issues than your magazine, you need to cancel your subscription.